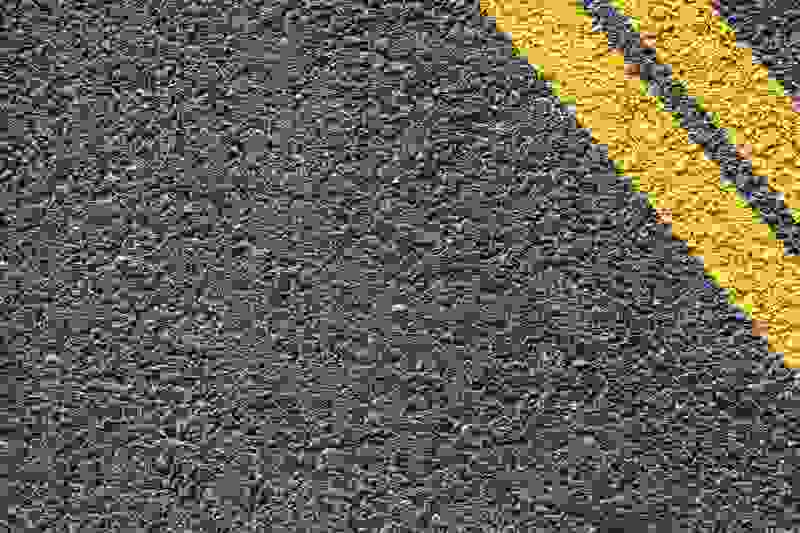 New Jersey offers many options when it comes to completing traffic school. This includes a huge list of online traffic school courses as well as your traditional classroom-based programs. The Probationary Driver Program (PDP) for new drivers. This guide will be focused on the New Jersey Driver Improvement Program. We’ll help you sign up for the best online course so you can finish your requirements from the comforts of home. If you’re a teen in need of an online drivers ed program, check out this page. Please be aware that in order to qualify for a New Jersey online driver improvement course, you must have first received a notice in the mail from the MVC that you are eligible. In this guide, you’ll find reviews of the best New Jersey online traffic schools, along with a FULL list of every online driver improvement course available in New Jersey. And finally, we’ll also give you a list of every classroom-based traffic school in New Jersey just in case you decide you don’t want to take your course online. For years, the only way a person could attend traffic school was by heading down to a brick-and-mortar establishment. Students were forced to spend the majority of their Saturday cooped up in a classroom full of strangers while getting lectured at. If this schedule didn’t work for the individual, they had to find a place that offered classes during their available hours. Of course, this wasn’t much better than the other option as people spent the day working long and hard only to be packed into a room with others that didn’t want to be there. Luckily, these days have come and gone through, and now, New Jersey online traffic schools are the norm. Who Needs One Of These New Jersey Online Traffic Schools? The #1 reason someone signs up for a driver improvement program in New Jersey is to avoid having their license suspended. The New Jersey driver improvement program is offered in lieu of a 30-day suspension for drivers who accumulate 12 to 14 points in more than two years. By completing a driver improvement program, you can remove up to 3 points from your driving record. If a driver can meet specific criteria, he or she might be able to get a traffic ticket dismissed. In other cases, a motorist can get points removed or reduced from their driving record. This aspect is big because if too many points accumulate, there is a good chance that the license will end up getting suspended. Sometimes, students voluntarily take the class, but in other instances, the person is ordered to do so by the courts. Why would the individual attempt this feat willingly? You can learn more about how the New Jersey point system works here. Why Should You Research New Jersey Online Traffic Schools? The state of New Jersey has a whole bunch of online defensive driving courses to choose from, but there are many online traffic schools that are NOT approved in New Jersey as well. If a person picks a driving school that is not accepted in New Jersey, all that time and effort will go to waste. They will complete a bunch of work only to find out that it doesn’t count towards anything. So, whether you pick one of these New Jersey online traffic schools, or another, research it thoroughly to prevent issues from occurring. Below this list of the best online traffic schools in New Jersey, you will find a full list of ALL traffic schools currently approved in the state. This is a list of the best New Jersey online traffic schools. We very highly recommend you stick with this short list as they are the highest quality with the best customer support and at a great price. We’ve supplied some reviews to help you compare these traffic schools quickly and easily. We recommend you check out each of these below courses, then choose whichever one you think it best. iDriveSafely has been around for more than a decade, and it has seen over 5 million students graduate from its courses. The curriculum features animated videos, audio clips, and text lessons. Students can access the content from any device 24/7. This means they can study, when, where, and how they want. The prices are fair, much like the other names on this list as well. Plus, iDriveSafely has customer support available 7-days a week, so if an issue or question arises, their agents have you covered. Whatever your needs of New Jersey online traffic schools are, you can’t go wrong in picking this one. If you’d like to learn more about iDriveSafely, you can get a full iDriveSafely review here. Go To Traffic School has recently upgraded their entire course. They originally created their defensive driving courses in New Jersey way back in the late 90’s, but they have done a great job updating their courses periodically to keep it fresh and updated. One of the biggest advantages is their price point as they tend to be one of the cheapest online traffic schools in New Jersey. Plus, Go To Traffic School has a pricing policy that is unheard of in today’s world. When a student finds a lower rate somewhere else, the institution will meet or match the competitor’s price. Additionally, the lessons can be accessed and done on any device that the student chooses. So, if you want to sign up for a higher quality online traffic school without paying more than you have to, Go To Traffic School is an excellent choice. You can check out our full Go To Traffic School review here. DriversEd.com, as you might imagine, is more of a driver education program for teen drivers. However, they also offer defensive driving courses in New Jersey. What’s really nice about DriversEd.com is their unique 3D animated videos. DriversEd.com was mostly created with teen drivers in mind, and they simply revamped their content to also be a traffic school course. Some people find this a little off putting, but our younger audience might enjoy DriversEd.com’s teaching style over the others. DriversEd.com has been around for many years and offer a U.S. based customer support team, so it’s a pretty safe bet. 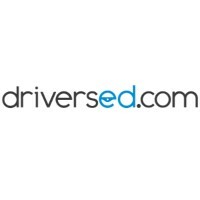 Check out our DriversEd.com review here. Although Aceable is somewhat new to the traffic school scene, people are flocking to it in droves. More than 400,000 students have already graduated from its classes to date, and more are sure to follow. All of the work is done through the organization’s app on a smartphone or tablet. Therefore, there is no need for the pupil to be stuck sitting in front of a computer screen all day. Progress gets saved as you go and between devices, so after taking a break, the individual can pick back up where they left off. A person can contact Aceable’s top-notch customer service team 7-days a week via phone, email, or chat for a fast response. A lot of folks prefer this format to those of other New Jersey online traffic schools. Do the legwork, but if you enjoy using apps and your smartphone, Aceable could prove to be the perfect fit. Check out our full Aceable review here. Improv Traffic School attempts to make the student’s experience as fun and enjoyable as possible. Hollywood writers and comedians from the Improv Comedy Club are behind the curriculum. Hence, there are funny texts and hilarious videos to keep pupils occupied. Some of the things that have made this institution the choice of 3 million drivers include 24/7 United States-based support, the laughs, of course, and free same day processing. Improv Traffic School has been around for decades and their main specialty is helping people save money on their auto insurance. If the reason you’re looking at taking a New Jersey online traffic school is for insurance discount purposes, this would be a great school to look at. Take a look at reviews and ask friends about Improv Traffic school to find out what all it has to offer for yourself. You can also check out our full Improv Traffic School review here. While we recommend you stick with one of the above courses, here is a full course list of all New Jersey online traffic schools. You can find more information here. USA Training Company, Inc. 99 Washington Ave.